"CD" redirects here. For other uses, see CD (disambiguation). The readable surface of a compact disc includes a spiral track wound tightly enough to cause light to diffract into a full visible spectrum. Compact disc (CD) is a digital optical disc data storage format that was co-developed by Philips and Sony and released in 1982. The format was originally developed to store and play only sound recordings (CD-DA) but was later adapted for storage of data (CD-ROM). Several other formats were further derived from these, including write-once audio and data storage (CD-R), rewritable media (CD-RW), Video Compact Disc (VCD), Super Video Compact Disc (SVCD), Photo CD, PictureCD, CD-i, and Enhanced Music CD. The first commercially available audio CD player, the Sony CDP-101, was released October 1982 in Japan. Standard CDs have a diameter of 120 millimetres (4.7 in) and can hold up to about 80 minutes of uncompressed audio or about 700 MiB of data. The Mini CD has various diameters ranging from 60 to 80 millimetres (2.4 to 3.1 in); they are sometimes used for CD singles, storing up to 24 minutes of audio, or delivering device drivers. 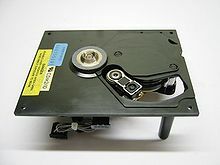 At the time of the technology's introduction in 1982, a CD could store much more data than a personal computer hard drive, which would typically hold 10 MB. By 2010, hard drives commonly offered as much storage space as a thousand CDs, while their prices had plummeted to commodity level. In 2004, worldwide sales of audio CDs, CD-ROMs and CD-Rs reached about 30 billion discs. By 2007, 200 billion CDs had been sold worldwide. From the early 2000s CDs were increasingly being replaced by other forms of digital storage and distribution, with the result that by 2010 the number of audio CDs being sold in the U.S. had dropped about 50% from their peak; however, they remained one of the primary distribution methods for the music industry. In 2014, revenues from digital music services matched those from physical format sales for the first time. American inventor James T. Russell has been credited with inventing the first system to record digital information on an optical transparent foil that is lit from behind by a high-power halogen lamp. Russell's patent application was filed in 1966, and he was granted a patent in 1970. Following litigation, Sony and Philips licensed Russell's patents (then held by a Canadian company, Optical Recording Corp.) in the 1980s. The compact disc is an evolution of LaserDisc technology, where a focused laser beam is used that enables the high information density required for high-quality digital audio signals. Prototypes were developed by Philips and Sony independently in the late 1970s. Although originally dismissed by Philips Research management as a trivial pursuit, the CD became the primary focus for Philips as the LaserDisc format struggled. In 1979, Sony and Philips set up a joint task force of engineers to design a new digital audio disc. After a year of experimentation and discussion, the Red Book CD-DA standard was published in 1980. After their commercial release in 1982, compact discs and their players were extremely popular. Despite costing up to $1,000, over 400,000 CD players were sold in the United States between 1983 and 1984. By 1988, CD sales in the United States surpassed those of vinyl LPs, and by 1992 CD sales surpassed those of prerecorded music cassette tapes. The success of the compact disc has been credited to the cooperation between Philips and Sony, which together agreed upon and developed compatible hardware. The unified design of the compact disc allowed consumers to purchase any disc or player from any company, and allowed the CD to dominate the at-home music market unchallenged. In 1974, Lou Ottens, director of the audio division of Philips, started a small group with the aim to develop an analog optical audio disc with a diameter of 20 cm (7.9 in) and a sound quality superior to that of the vinyl record. However, due to the unsatisfactory performance of the analog format, two Philips research engineers recommended a digital format in March 1974. In 1977, Philips then established a laboratory with the mission of creating a digital audio disc. The diameter of Philips's prototype compact disc was set at 11.5 cm (4.5 in), the diagonal of an audio cassette. Heitaro Nakajima, who developed an early digital audio recorder within Japan's national public broadcasting organization NHK in 1970, became general manager of Sony's audio department in 1971. His team developed a digital PCM adaptor audio tape recorder using a Betamax video recorder in 1973. After this, in 1974 the leap to storing digital audio on an optical disc was easily made. Sony first publicly demonstrated an optical digital audio disc in September 1976. A year later, in September 1977, Sony showed the press a 30 cm (12 in) disc that could play 60 minutes of digital audio (44,100 Hz sampling rate and 16-bit resolution) using MFM modulation. In September 1978, the company demonstrated an optical digital audio disc with a 150-minute playing time, 44,056 Hz sampling rate, 16-bit linear resolution, and cross-interleaved error correction code—specifications similar to those later settled upon for the standard compact disc format in 1980. Technical details of Sony's digital audio disc were presented during the 62nd AES Convention, held on 13–16 March 1979, in Brussels. Sony's AES technical paper was published on 1 March 1979. A week later, on 8 March, Philips publicly demonstrated a prototype of an optical digital audio disc at a press conference called "Philips Introduce Compact Disc" in Eindhoven, Netherlands. Sony executive Norio Ohga, later CEO and chairman of Sony, and Heitaro Nakajima were convinced of the format's commercial potential and pushed further development despite widespread skepticism. As a result, in 1979, Sony and Philips set up a joint task force of engineers to design a new digital audio disc. 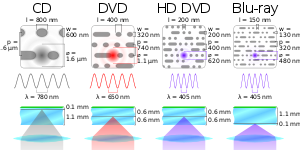 Led by engineers Kees Schouhamer Immink and Toshitada Doi, the research pushed forward laser and optical disc technology. After a year of experimentation and discussion, the task force produced the Red Book CD-DA standard. First published in 1980, the standard was formally adopted by the IEC as an international standard in 1987, with various amendments becoming part of the standard in 1996. Philips coined the term compact disc in line with another audio product, the Compact Cassette, and contributed the general manufacturing process, based on video LaserDisc technology. Philips also contributed eight-to-fourteen modulation (EFM), which offers a certain resilience to defects such as scratches and fingerprints, while Sony contributed the error-correction method, CIRC. The Compact Disc Story, told by a former member of the task force, gives background information on the many technical decisions made, including the choice of the sampling frequency, playing time, and disc diameter. The task force consisted of around four to eight persons, though according to Philips, the compact disc was "invented collectively by a large group of people working as a team." Philips established the Polydor Pressing Operations plant in Langenhagen near Hannover, Germany, and quickly passed a series of milestones. The first test pressing was of a recording of Richard Strauss's Eine Alpensinfonie (An Alpine Symphony) played by the Berlin Philharmonic and conducted by Herbert von Karajan, who had been enlisted as an ambassador for the format in 1979. The first public demonstration was on the BBC television programme Tomorrow's World in 1981, when the Bee Gees' album Living Eyes (1981) was played. The first commercial compact disc was produced on 17 August 1982, a 1979 recording of Chopin waltzes by Claudio Arrau. The first popular music album released on compact disc was The Visitors (1981) by ABBA. The first 50 titles were released in Japan on 1 October 1982, the very first of which was a re-release of the Billy Joel album 52nd Street. The first CD played on BBC Radio was in October 1982 on BBC Radio Scotland (Jimmy Mack programme, Followed by Ken Bruce and Eddie Mair all BBC Scotland), with the first CD played on UK independent radio station shortly after (Radio Forth, Jay Crawford Show). The CD was Dire Straits, Love over Gold. The Japanese launch was followed in March 1983 by the introduction of CD players and discs to Europe and North America (where CBS Records released sixteen titles). This 1983 event is often seen as the "Big Bang"[by whom?] of the digital audio revolution. The new audio disc was enthusiastically received, especially in the early-adopting classical music and audiophile communities, and its handling quality received particular praise. As the price of players gradually came down, and with the introduction of the portable Discman the CD began to gain popularity in the larger popular and rock music markets. One of the first CD markets was devoted to reissuing popular music whose commercial potential was already proven. The first artist to sell a million copies on CD was Dire Straits, with their 1985 album Brothers in Arms. The first major artist to have their entire catalogue converted to CD was David Bowie, whose first fourteen studio albums of (then) sixteen were made available by RCA Records in February 1985, along with four greatest hits albums; his fifteenth and sixteenth albums had already been issued on CD by EMI Records in 1983 and 1984, respectively. On February 26, 1987, the first four UK albums by The Beatles were released in mono on compact disc. In 1988, 400 million CDs were manufactured by 50 pressing plants around the world. The CD was planned to be the successor of the vinyl record for playing music, rather than primarily as a data storage medium. From its origins as a musical format, CDs have grown to encompass other applications. In 1983, following the CD's introduction, Immink and Braat presented the first experiments with erasable compact discs during the 73rd AES Convention. 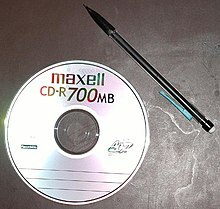 In June 1985, the computer-readable CD-ROM (read-only memory) and, in 1990, CD-Recordable were introduced, also developed by both Sony and Philips. Recordable CDs were a new alternative to tape for recording music and copying music albums without defects introduced in compression used in other digital recording methods. Other newer video formats such as DVD and Blu-ray use the same physical geometry as CD, and most DVD and Blu-ray players are backward compatible with audio CD. By the early 2000s, the CD player had largely replaced the audio cassette player as standard equipment in new automobiles, with 2010 being the final model year for any car in the United States to have a factory-equipped cassette player. With the increasing popularity of portable digital audio players, such as mobile phones, and solid state music storage, CD players are being phased out of automobiles in favor of minijack auxiliary inputs, wired connection to USB devices and wireless Bluetooth connection. Meanwhile, with the advent and popularity of Internet-based distribution of files in lossily-compressed audio formats such as MP3, sales of CDs began to decline in the 2000s. For example, between 2000 and 2008, despite overall growth in music sales and one anomalous year of increase, major-label CD sales declined overall by 20%, although independent and DIY music sales may be tracking better according to figures released 30 March 2009, and CDs still continue to sell greatly. As of 2012, CDs and DVDs made up only 34 percent of music sales in the United States. By 2015[update], only 24% of music in the United States was purchased on physical media, ⅔ of this consisting of CDs; however, in the same year in Japan, over 80% of music was bought on CDs and other physical formats. Despite the rapidly declining sales year-over-year, the pervasiveness of the technology remained for a time, with companies placing CDs in pharmacies, supermarkets, and filling station convenience stores targeting buyers least able to use Internet-based distribution. However, in 2018, Best Buy announced plans to decrease their focus on CD sales. Technical Grammy Award for Sony and Philips, 1998. IEEE Milestone award, 2009, for Philips only with the citation: "On 8 March 1979, N.V. Philips' Gloeilampenfabrieken demonstrated for the international press a Compact Disc Audio Player. The demonstration showed that it is possible by using digital optical recording and playback to reproduce audio signals with superb stereo quality. This research at Philips established the technical standard for digital optical recording systems." A polycarbonate disc layer has the data encoded by using bumps. A shiny layer reflects the laser. A layer of lacquer protects the shiny layer. Artwork is screen printed on the top of the disc. A CD is made from 1.2 millimetres (0.047 in) thick, polycarbonate plastic and weighs 15–20 grams. [better source needed] From the center outward, components are: the center spindle hole (15 mm), the first-transition area (clamping ring), the clamping area (stacking ring), the second-transition area (mirror band), the program (data) area, and the rim. The inner program area occupies a radius from 25 to 58 mm. A thin layer of aluminium or, more rarely, gold is applied to the surface, making it reflective. The metal is protected by a film of lacquer normally spin coated directly on the reflective layer. The label is printed on the lacquer layer, usually by screen printing or offset printing. CD data is represented as tiny indentations known as "pits", encoded in a spiral track moulded into the top of the polycarbonate layer. The areas between pits are known as "lands". Each pit is approximately 100 nm deep by 500 nm wide, and varies from 850 nm to 3.5 µm in length. The distance between the tracks, the pitch, is 1.6 µm. The program area is 86.05 cm2 and the length of the recordable spiral is (86.05 cm2 / 1.6 µm) = 5.38 km. With a scanning speed of 1.2 m/s, the playing time is 74 minutes, or 650 MiB of data on a CD-ROM. A disc with data packed slightly more densely is tolerated by most players (though some old ones fail). Using a linear velocity of 1.2 m/s and a narrower track pitch of 1.5 µm increases the playing time to 80 minutes, and data capacity to 700 MiB. A CD is read by focusing a 780 nm wavelength (near infrared) semiconductor laser housed within the CD player, through the bottom of the polycarbonate layer. The change in height between pits and lands results in a difference in the way the light is reflected. By measuring the intensity change with a photodiode, the data can be read from the disc. In order to accommodate the spiral pattern of data, the semiconductor laser is placed on a mobile laser pickup assembly mechanism within the disc tray of any CD player; this mechanism typically takes the form of a hub that slides across a rail or worm gear, though some CD drives (particularly those manufactured by Philips during the 1980s and early 1990s) use a swing arm similar to that seen on a gramophone. This mechanism allows the laser to read information from the centre to the edge of a disc without having to interrupt the spinning of the disc itself. The pits and lands do not directly represent the zeros and ones of binary data. Instead, non-return-to-zero, inverted encoding is used: a change from pit to land or land to pit indicates a one, while no change indicates a series of zeros. There must be at least two and no more than ten zeros between each one, which is defined by the length of the pit. This in turn is decoded by reversing the eight-to-fourteen modulation used in mastering the disc, and then reversing the cross-interleaved Reed–Solomon coding, finally revealing the raw data stored on the disc. These encoding techniques (defined in the Red Book) were originally designed for CD Digital Audio, but they later became a standard for almost all CD formats (such as CD-ROM). CDs are susceptible to damage during handling and from environmental exposure. Pits are much closer to the label side of a disc, enabling defects and contaminants on the clear side to be out of focus during playback. Consequently, CDs are more likely to suffer damage on the label side of the disc. Scratches on the clear side can be repaired by refilling them with similar refractive plastic or by careful polishing. The edges of CDs are sometimes incompletely sealed, allowing gases and liquids to enter the CD and corrode the metal reflective layer and/or interfere with the focus of the laser on the pits, a condition known as disc rot. The fungus Geotrichum candidum has been found—under conditions of high heat and humidity—to consume the polycarbonate plastic and aluminium found in CDs. Comparison of several forms of disk storage showing tracks (not-to-scale); green denotes start and red denotes end. 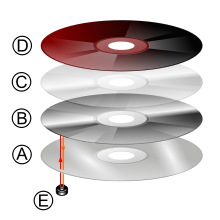 The digital data on a CD begins at the center of the disc and proceeds toward the edge, which allows adaptation to the different size formats available. Standard CDs are available in two sizes. By far, the most common is 120 millimetres (4.7 in) in diameter, with a 74- or 80-minute audio capacity and a 650 or 700 MiB (737,280,000-byte) data capacity. The official Philips history says this capacity was specified by Sony executive Norio Ohga so as to be able to contain the entirety of Beethoven's Ninth Symphony on one disc. This is a myth according to Kees Immink, as the code format had not yet been decided in December 1979. The adoption of EFM in June 1980 would have allowed a playing time of 97 minutes for 120 mm diameter or 74 minutes for a disc as small as 100 mm, but instead the information density was lowered by 30% to keep the playing time at 74 minutes. The 120 mm diameter has been adopted by subsequent formats, including Super Audio CD, DVD, HD DVD, and Blu-ray Disc. The 80 mm diameter discs ("Mini CDs") can hold up to 24 minutes of music or 210 MiB. The logical format of an audio CD (officially Compact Disc Digital Audio or CD-DA) is described in a document produced in 1980 by the format's joint creators, Sony and Philips. The document is known colloquially as the Red Book CD-DA after the colour of its cover. The format is a two-channel 16-bit PCM encoding at a 44.1 kHz sampling rate per channel. Four-channel sound was to be an allowable option within the Red Book format, but has never been implemented. Monaural audio has no existing standard on a Red Book CD; thus, mono source material is usually presented as two identical channels in a standard Red Book stereo track (i.e., mirrored mono); an MP3 CD, however, can have audio file formats with mono sound. CD-Text is an extension of the Red Book specification for audio CD that allows for storage of additional text information (e.g., album name, song name, artist) on a standards-compliant audio CD. The information is stored either in the lead-in area of the CD, where there is roughly five kilobytes of space available, or in the subcode channels R to W on the disc, which can store about 31 megabytes. 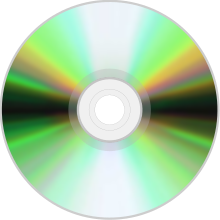 Compact Disc + Graphics is a special audio compact disc that contains graphics data in addition to the audio data on the disc. The disc can be played on a regular audio CD player, but when played on a special CD+G player, it can output a graphics signal (typically, the CD+G player is hooked up to a television set or a computer monitor); these graphics are almost exclusively used to display lyrics on a television set for karaoke performers to sing along with. The CD+G format takes advantage of the channels R through W. These six bits store the graphics information. CD + Extended Graphics (CD+EG, also known as CD+XG) is an improved variant of the Compact Disc + Graphics (CD+G) format. Like CD+G, CD+EG uses basic CD-ROM features to display text and video information in addition to the music being played. This extra data is stored in subcode channels R-W. Very few, if any, CD+EG discs have been published. Super Audio CD (SACD) is a high-resolution read-only optical audio disc format that was designed to provide higher fidelity digital audio reproduction than the Red Book. Introduced in 1999, it was developed by Sony and Philips, the same companies that created the Red Book. SACD was in a format war with DVD-Audio, but neither has replaced audio CDs. The SACD standard is referred to the Scarlet Book standard. Titles in the SACD format can be issued as hybrid discs; these discs contain the SACD audio stream as well as a standard audio CD layer which is playable in standard CD players, thus making them backward compatible. CD-MIDI is a format used to store music-performance data, which upon playback is performed by electronic instruments that synthesize the audio. Hence, unlike the original Red Book CD-DA, these recordings are not digitally sampled audio recordings. The CD-MIDI format is defined as an extension of the original Red Book. For the first few years of its existence, the CD was a medium used purely for audio. 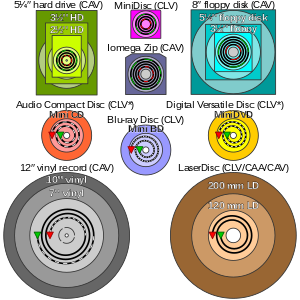 However, in 1988, the Yellow Book CD-ROM standard was established by Sony and Philips, which defined a non-volatile optical data computer data storage medium using the same physical format as audio compact discs, readable by a computer with a CD-ROM drive. Video CD (VCD, View CD, and Compact Disc digital video) is a standard digital format for storing video media on a CD. VCDs are playable in dedicated VCD players, most modern DVD-Video players, personal computers, and some video game consoles. The VCD standard was created in 1993 by Sony, Philips, Matsushita, and JVC and is referred to as the White Book standard. Overall picture quality is intended to be comparable to VHS video. Poorly compressed VCD video can sometimes be lower quality than VHS video, but VCD exhibits block artifacts rather than analog noise and does not deteriorate further with each use. 352x240 (or SIF) resolution was chosen because it is half the vertical and half the horizontal resolution of NTSC video. 352x288 is similarly one quarter PAL/SECAM resolution. 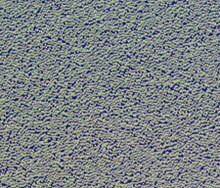 This approximates the (overall) resolution of an analog VHS tape, which, although it has double the number of (vertical) scan lines, has a much lower horizontal resolution. Super Video CD (Super Video Compact Disc or SVCD) is a format used for storing video media on standard compact discs. SVCD was intended as a successor to VCD and an alternative to DVD-Video and falls somewhere between both in terms of technical capability and picture quality. SVCD has two thirds the resolution of DVD, and over 2.7 times the resolution of VCD. One CD-R disc can hold up to 60 minutes of standard quality SVCD-format video. While no specific limit on SVCD video length is mandated by the specification, one must lower the video bit rate, and therefore quality, to accommodate very long videos. It is usually difficult to fit much more than 100 minutes of video onto one SVCD without incurring significant quality loss, and many hardware players are unable to play video with an instantaneous bit rate lower than 300 to 600 kilobits per second. Photo CD is a system designed by Kodak for digitizing and storing photos on a CD. Launched in 1992, the discs were designed to hold nearly 100 high-quality images, scanned prints and slides using special proprietary encoding. Photo CDs are defined in the Beige Book and conform to the CD-ROM XA and CD-i Bridge specifications as well. They are intended to play on CD-i players, Photo CD players and any computer with suitable software (irrespective of operating system). The images can also be printed out on photographic paper with a special Kodak machine. This format is not to be confused with Kodak Picture CD, which is a consumer product in CD-ROM format. The Philips Green Book specifies a standard for interactive multimedia compact discs designed for CD-i players (1993). CD-i discs can contain audio tracks which can be played on regular CD players, but CD-i discs are not compatible with most CD-ROM drives and software. The CD-i Ready specification was later created to improve compatibility with audio CD players, and the CD-i Bridge specification was added to create CD-i compatible discs that can be accessed by regular CD-ROM drives. Philips defined a format similar to CD-i called CD-i Ready, which puts CD-i software and data into the pregap of track 1. This format was supposed to be more compatible with older audio CD players. Enhanced Music CD, also known as CD Extra or CD Plus, is a format which combines audio tracks and data tracks on the same disc by putting audio tracks in a first session and data in a second session. It was developed by Philips and Sony, and it is defined in the Blue Book. VinylDisc is the hybrid of a standard audio CD and the vinyl record. The vinyl layer on the disc's label side can hold approximately three minutes of music. In 1995, material costs were 30 cents for the jewel case and 10 to 15 cents for the CD. Wholesale cost of CDs was $0.75 to $1.15, which retailed for $16.98. On average, the store received 35 percent of the retail price, the record company 27 percent, the artist 16 percent, the manufacturer 13 percent, and the distributor 9 percent. When 8-track tapes, cassette tapes, and CDs were introduced, each was marketed at a higher price than the format they succeeded, even though the cost to produce the media was reduced. This was done because the apparent value increased. This continued from vinyl to CDs but was broken when Apple marketed MP3s for $0.99, and albums for $9.99. The incremental cost, though, to produce an MP3 is very small. Recordable Compact Discs, CD-Rs, are injection-molded with a "blank" data spiral. A photosensitive dye is then applied, after which the discs are metalized and lacquer-coated. The write laser of the CD recorder changes the colour of the dye to allow the read laser of a standard CD player to see the data, just as it would with a standard stamped disc. The resulting discs can be read by most CD-ROM drives and played in most audio CD players. CD-Rs follow the Orange Book standard. CD-R recordings are designed to be permanent. Over time, the dye's physical characteristics may change causing read errors and data loss until the reading device cannot recover with error correction methods. The design life is from 20 to 100 years, depending on the quality of the discs, the quality of the writing drive, and storage conditions. However, testing has demonstrated such degradation of some discs in as little as 18 months under normal storage conditions. This failure is known as disc rot, for which there are several, mostly environmental, reasons. The recordable audio CD is designed to be used in a consumer audio CD recorder. These consumer audio CD recorders use SCMS (Serial Copy Management System), an early form of digital rights management (DRM), to conform to the AHRA (Audio Home Recording Act). The Recordable Audio CD is typically somewhat more expensive than CD-R due to lower production volume and a 3% AHRA royalty used to compensate the music industry for the making of a copy. High-capacity recordable CD is a higher-density recording format that can hold 90 or 99 minutes of audio on a 12 cm (5 in) disc (compared to about 80 minutes for Red Book audio) or 30 minutes of audio on an 8 cm (3 in) disc (compared to about 24 minutes for Red Book audio). The higher capacity is incompatible with some recorders and recording software. CD-RW is a re-recordable medium that uses a metallic alloy instead of a dye. The write laser in this case is used to heat and alter the properties (amorphous vs. crystalline) of the alloy, and hence change its reflectivity. A CD-RW does not have as great a difference in reflectivity as a pressed CD or a CD-R, and so many earlier CD audio players cannot read CD-RW discs, although most later CD audio players and stand-alone DVD players can. CD-RWs follow the Orange Book standard. The ReWritable Audio CD is designed to be used in a consumer audio CD recorder, which will not (without modification) accept standard CD-RW discs. These consumer audio CD recorders use the Serial Copy Management System (SCMS), an early form of digital rights management (DRM), to conform to the United States' Audio Home Recording Act (AHRA). The ReWritable Audio CD is typically somewhat more expensive than CD-RW due to (a) lower volume and (b) a 3% AHRA royalty used to compensate the music industry for the making of a copy. The Red Book audio specification, except for a simple "anti-copy" statement in the subcode, does not include any copy protection mechanism. Known at least as early as 2001, attempts were made by record companies to market "copy-protected" non-standard compact discs, which cannot be ripped, or copied, to hard drives or easily converted to other formats (like FLAC, MP3 or Vorbis). One major drawback to these copy-protected discs is that most will not play on either computer CD-ROM drives or some standalone CD players that use CD-ROM mechanisms. Philips has stated that such discs are not permitted to bear the trademarked Compact Disc Digital Audio logo because they violate the Red Book specifications. Numerous copy-protection systems have been countered by readily available, often free, software, or even by simply turning off automatic AutoPlay to prevent the running of the DRM executable program. ^ "Compact Disc Hits 25th birthday". BBC News. 17 August 2007. Archived from the original on 18 February 2010. Retrieved 1 December 2009. ^ Plambeck, Joseph (30 May 2010). "As CD Sales Wane, Music Retailers Diversify". The New York Times. Archived from the original on 1 May 2017. ^ "IFPI publishes Digital Music Report 2015". 14 April 2015. Archived from the original on 14 April 2015. Retrieved 1 July 2016. ^ U.S. Patent 3,501,586 Analog to digital to optical photographic recording and playback system, March 1970. ^ U.S. Patent 3,795,902 Method and apparatus for synchronizing photographic records of digital information, March 1974. ^ Brier Dudley (29 November 2004). "Scientist's invention was let go for a song". The Seattle Times. Archived from the original on 10 August 2014. Retrieved 24 July 2014. ^ "Inventor and physicist James Russell '53 will receive Vollum Award at Reed's convocation" (Press release). Reed College public affairs office. 2000. Archived from the original on 9 October 2013. Retrieved 24 July 2014. ^ "Inventor of the Week - James T. Russell - The Compact Disc". MIT. December 1999. Archived from the original on 17 April 2003. ^ "The History of the CD". Philips Research. Retrieved 7 June 2014. ^ a b c K. Schouhamer Immink (2007). "Shannon, Beethoven, and the Compact Disc". IEEE Information Theory Society Newsletter. 57: 42–46. Retrieved 6 February 2018. ^ a b Straw, Will (2009). "The Music CD and Its Ends". Design and Culture. 1 (1). ^ Rasen, Edward. "Compact Discs: Sound of the Future". Spin. Archived from the original on 16 December 2015. Retrieved 9 January 2016. ^ Billboard (March 1992). "CD Unit Sales Pass Cassettes, Majors Say". Billboard. ^ Kozinn, Allan (December 1988). "Have Compact Disks Become Too Much of a Good Thing?". The New York Times. ^ Introducing the amazing Compact Disc (1982). Australian Broadcasting Corporation. 10 June 2015. Archived from the original on 23 November 2015. Retrieved 9 January 2016 – via YouTube. ^ a b c d K. Schouhamer Immink (1998). "Compact Disc Story". Journal of the Audio Engineering Society. 46 (5): 458–460. Retrieved 6 February 2018. ^ a b Peek, Hans B. (January 2010). "The Emergence of the Compact Disc". IEEE Communications Magazine. 48 (1): 10–17. doi:10.1109/MCOM.2010.5394021. ISSN 0163-6804. Archived from the original on 16 May 2013. ^ McClure, Steve (8 January 2000). "Heitaro Nakajima". Billboard. p. 68. Archived from the original on 19 March 2015. Retrieved 4 November 2014. ^ a b "A Long Play Digital Audio Disc System". AES. Archived from the original on 25 July 2009. Retrieved 14 February 2009. ^ a b "How the CD Was Developed". BBC News. 17 August 2007. Archived from the original on 18 February 2012. Retrieved 17 August 2007. ^ "Philips Compact Disc". Philips. Archived from the original on 19 March 2009. Retrieved 14 February 2009. ^ Knopper, Steve (7 January 2009). "Appetite for Self-Destruction: The Rise and Fall of the Record Industry in the Digital Age". Free Press/Simon & Schuster. ^ "The Inventor of the CD". Philips Research. Archived from the original on 29 January 2008. Retrieved 16 January 2009. ^ Kelly, Heather (29 September 2012). "Rock on! The compact disc turns 30". CNN. Retrieved 30 September 2012. The first test CD was Richard Strauss's Eine Alpensinfonie, and the first CD actually pressed at a factory was ABBA's The Visitors, but that disc wasn't released commercially until later. ^ Bilyeu, Melinda; Hector Cook; Andrew Môn Hughes (2004). The Bee Gees:tales of the brothers Gibb. Omnibus Press. p. 519. ISBN 978-1-84449-057-8. ^ "Debut of the Compact Disc". www.chonday.com. 14 August 2015. Retrieved 22 February 2019. ^ "And 25 Years Ago Philips Introduced the CD". GeekZone. Archived from the original on 12 September 2007. Retrieved 11 January 2008. ^ "Sony History: A Great Invention 100 Years On". Sony. Archived from the original on 2 August 2008. Retrieved 28 February 2012. ^ Giles, Jeff (1 October 2012). "How Billy Joel's '52nd Street' Became the First Compact Disc released". Ultimate Classic Rock. Townsquare Media, LLC. Archived from the original on 6 July 2017. Retrieved 13 October 2017. ^ "Philips celebrates 25th anniversay of the Compact Disc" Archived 17 August 2015 at Archive-It, Philips Media Release, 16 August 2007. Retrieved 6 October 2013. ^ Kaptainis, Arthur (5 March 1983). "Sampling the latest sound: should last a lifetime". The Globe and Mail. Toronto. p. E11. ^ JON PARELES (25 February 1987). "NOW ON CD'S, FIRST 4 BEATLES ALBUMS". New York Times. ^ MAC Audio News. No. 178, November 1989. pp 19-21 Glenn Baddeley. November 1989 News Update. Melbourne Audio Club Inc.
^ K. Schouhamer Immink and J. Braat (1984). "Experiments Toward an Erasable Compact Disc". J. Audio Eng. Soc. 32: 531–538. Retrieved 2 February 2018. ^ The world's first CD-R was made by the Japanese firm Taiyo Yuden Co., Ltd. in 1988 as part of the joint Philips-Sony development effort. ^ Williams, Stephen (4 February 2011). "For Car Cassette Decks, Play Time Is Over". New York Times. Archived from the original on 10 November 2012. Retrieved 18 July 2012. ^ Smith, Ethan (2 January 2009). "Music Sales Decline for Seventh Time in Eight Years: Digital Downloads Can't Offset 20% Plunge in CD Sales". Wall Street Journal. Archived from the original on 20 October 2017. Retrieved 4 March 2009. ^ "CD Baby Payouts Surge « Indie Music Stop". Indiemusicstop.wordpress.com. 30 March 2009. Archived from the original on 18 July 2011. Retrieved 1 December 2009. ^ "Buying CDs continues to be a tradition in Japan - Tokyo Times". 23 August 2013. Archived from the original on 20 December 2016. Retrieved 30 December 2016. ^ Friedlander, Joshua P. (2015). "News and Notes on 2015 Mid-Year RIAA Shipment and Revenue Statistics" (PDF). Recording Industry Association of America. Archived from the original (PDF) on 30 September 2015. ^ Sisaro, Ben. New York Times 11 June 2015: "Music Streaming Service Aims at Japan, Where CD Is Still King". Archived from the original on 20 October 2017. Retrieved 26 August 2017. ^ Ong, Thuy (6 February 2018). "Best Buy will stop selling CDs as digital music revenue continues to grow". The Verge. Retrieved 6 February 2018. ^ Owsinski, Bobby (7 July 2018). "Best Buy, Winding Down CD Sales, Pounds Another Nail Into The Format's Coffin". Forbes. ^ Chris Morris (2 July 2018). "End of a Era: Best Buy Significantly Cuts Back on CDs". Fortune. ^ "Technical Grammy Award". Archived from the original on 26 October 2014. Retrieved 5 November 2014. ^ "IEEE CD Milestone". IEEE Global History Network. Archived from the original on 26 November 2009. Retrieved 14 October 2010. ^ "Compact Disc". Archived from the original on 12 May 2016. Retrieved 6 May 2016. ^ Sharpless, Graham (July 2003). "Introduction to CD and CD-ROM" (PDF). Deluxe Global Media Services Ltd. Archived (PDF) from the original on 9 March 2016. Retrieved 3 May 2016. ^ "IEC 60908 Audio recording - Compact disc digital audio system". Archived from the original on 6 May 2016. ^ "ISO/IEC 10149 Information technology -- Data interchange on read-only 120 mm optical data disks (CD-ROM)". Archived from the original on 6 May 2016. ^ "Fungus eats CD". Nature. 2001. Archived from the original on 12 December 2013. ^ "Fungus 'eats' CDs". BBC. June 2001. Archived from the original on 12 December 2013. ^ K.A. Schouhamer Immink (2018). "How we made the compact disc". Nature Electronics. 1. Retrieved 16 April 2018. ^ Tim Buthe and Walter Mattli, The New Global Rulers: The Privatization of Regulation in the World Economy, Princeton University Press, Feb. 2011. ^ a b Neil Strauss (5 July 1995). "Pennies That Add Up to $16.98: Why CD's Cost So Much – New York Times". Nytimes.com. Archived from the original on 11 August 2013. Retrieved 25 July 2013. ^ Amy HarmonPublished: 12 October 2003 (12 October 2003). "MUSIC; What Price Music?". Nytimes.com. Archived from the original on 12 May 2013. Retrieved 25 July 2013. ^ "CD-R Unreadable in Less Than Two Years". cdfreaks.com. Archived from the original on 14 February 2007. Retrieved 1 February 2007. ^ "CD-R ROT". PC-Active.com via archive.org. Archived from the original on 4 February 2005. Retrieved 1 February 2007. ^ "5. Conditions That Affect CDs and DVDs — Council on Library and Information Resources". www.clir.org. Archived from the original on 15 September 2016. Retrieved 5 July 2016. ^ a b Andy McFadden (8 August 2007). "CD-Recordable FAQ". Archived from the original on 20 September 2007. Retrieved 20 September 2007. ^ "Understanding CD-R & CD-RW". Osta.org. Archived from the original on 1 August 2013. Retrieved 25 July 2013. ^ "CD-Recordable FAQ – Section 3". 9 January 2010. Archived from the original on 18 November 2013. Retrieved 25 November 2013. Small quantities of 90-minute and 99-minute blanks have appeared [...] Indications are that many recorders and some software don't really work with the longer discs. ^ Campaign For Digital Rights (5 December 2001). "Copy Protected CDs (via Archive.org)". Archived from the original on 5 December 2001. Ecma International. Standard ECMA-130: Data Interchange on Read-only 120 mm Optical Data Disks (CD-ROM), 2nd edition (June 1996). Pohlmann, Kenneth C. (1992). The Compact Disc Handbook. Middleton, Wisconsin: A-R Editions. ISBN 0-89579-300-8. Peek, Hans et al. (2009) Origins and Successors of the Compact Disc. Springer Science+Business Media B.V. ISBN 978-1-4020-9552-8. Peek, Hans B., The emergence of the compact disc, IEEE Communications Magazine, Jan. 2010, pp. 10–17. Nakajima, Heitaro; Ogawa, Hiroshi (1992) Compact Disc Technology, Tokyo, Ohmsha Ltd. ISBN 4-274-03347-3. This page was last edited on 20 April 2019, at 14:21 (UTC).